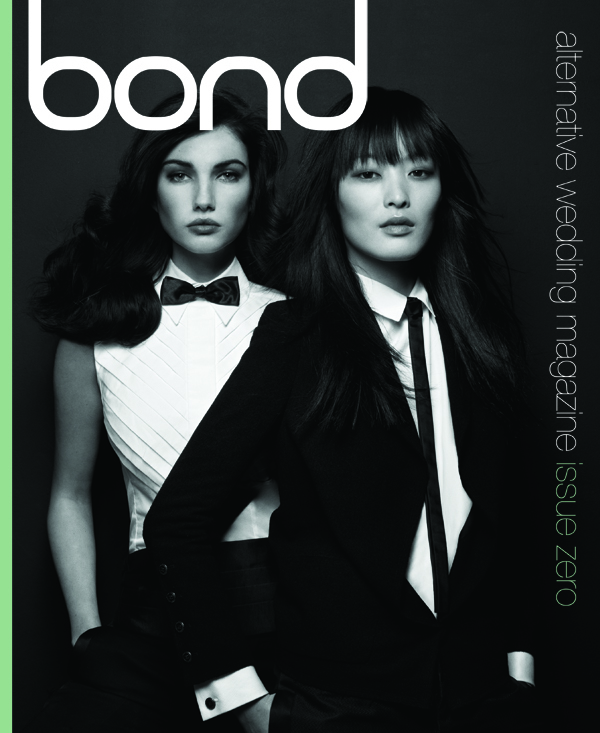 Comme les garçons… the girls wear the pants on Bond’s cover (Issue Zero). On left, Nadiya wears a shirt, bowtie and cumberbund from Chanel, Dior Homme pants and a Cartier wedding band. Ein, on right, wears a Jil Sander shirt with a Chanel jacket, vintage tie, Dior Homme pants and a Cartier wedding band. This entry was posted	on Sunday, August 12th, 2007 at 11:22 PM	and filed under STYLE, Women and tagged with cover, Issue Zero. You can follow any responses to this entry through the RSS 2.0 feed.